1. The petitioners in these cases have sought for a declaration that the service weightage of 4 marks for every completed one year of service on contract basis granted by the Government Order bearing No. HFW 470 MPS 2004, dated 18-1-2005 (Annexure-'B' to the writ petitions) by the Clause reading "in case of service rendered as contract Doctors, the service weightage so admissible shall be 4 marks for every completed one year of service" is illegal and unconstitutional. The petitioners are aspirants for admission to Post-Graduate Medical and Dental and Diploma Courses for the academic year 2005-2006. They are in-service candidates prescribed under the Rules Governing Admission. They have taken the Entrance Test as in-service candidates. The 1st Petitioner though a Medical Officer in the services of the Government of Karnataka has taken the test as an open category candidate since he does not fall within the definition of 'in-service candidate' prescribed under the Rules governing admissions. They are aggrieved by the impugned Government Order providing for a service weightage of 4 marks for every completed one year of service rendered as Contract Doctor. It is further contended that during the year 1992, pending direct recruitment as per Rules, as a stop gap arrangement, 380 Doctors were appointed on contract basis by the State Government. Applications were invited at the District level stipulating that the appointment is on contract basis, the appointees will not have any claim for regularisation or regular appointment and they will not be entitled to any emoluments except a consolidated amount of Rs. 4,000/- per month. The appointments were on contract basis terminable at any time and the period of contract was stipulated as three years. Their appointment was purely contractual and no merited candidate applied in response. When the said Doctors were working on contract basis, in response to the Notification issued by the Karnataka Public Service Commission in the year 1995 most of these doctors working on contract basis also applied and failed to get a place in the select list due to their low merit. When the provisional select list was published in the year 1996 the contract doctors finding that most of them have failed to make it to the select list moved the Government for regularisation of their services and that their services were regularised as per the Notification dated 24-7-1997. The Rules under which regularisation was made as also the regularisation notification clearly stipulated that the services rendered on contract basis will not count for any purpose. Similar regularisation exercise was made by another notification dated 7-12-1999. 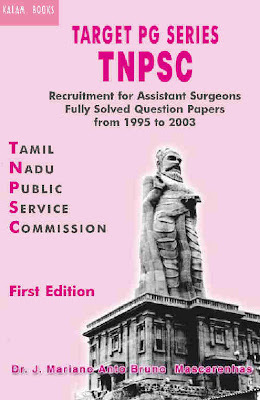 It is alleged that the Government went on to accommodate the contract doctors is evident from the fact that while the candidates who came to be selected on their merit pursuant to the application invited by the Karnataka Public Service Commission (for short 'KPSC') in the year 1995, interviews held and provisional list and select list published in the year 1996 were appointed only on 25-7-1997 and the contract Doctors who failed to get selected in the KPSC selection and who had been appointed on contract basis without any screening and without any selection were given regular appointments with effect from 9-6-1997 by a Notification dated 24-7-1997. The very same misplaced benevolence in favour of contract doctors is evident from the impugned Government Order dated 18-1-2005. The Petitioners have urged that no weightage can be given for a period when the candidates could not be said to be in-service. The Contract Doctors are not members of service when the appointment on contract is contrary to the Statutory Recruitment Rules. It is not in substantive capacity. Therefore, giving service weightage of 4 marks for every completed one year service on contract basis as per the Government Notification dated 18-1-2005 is contrary to law. 3. Respondents 4 to 6 were the contract doctors whose services have been regularised subsequently. They have filed impleading application which was allowed by this Court. It is contended by them that they were recruited as Doctors on contract basis and subsequently they were absorbed as regular doctors. Initially, they were recruited and posted to Rural areas. Recruitment was made by the Directorare of Health and Family Welfare and a merit list was prepared and selection was made by following roster and Recruitment Rules which were framed at the said point of time were strictly followed. Thereafter, they were absorbed on permanent basis. Recognising their rural service during their contract period, the Government has granted weightage of 4 points. The Petitioners cannot find fault with the same. 4. The State Government has filed its counter. It is contended that it has received large number of representations from Government Doctor's Association to the effect that in view of their Rural Service, it is extremely difficult for them to secure 50% of the marks in PGET to become eligible for admission to PG Courses in terms of Regulation 9 of the Medical Council of India Post Graduate Medical Education Regulations 2000. Their reasonable demands were discussed in many meetings to formulate a conscious decision. After extensive deliberations, the categorical consensus emerged was to award service weightage. The State has adopted a system of appointing the doctors on contract basis initially for a period of one year extendable from time to time by the Deputy Commissioners of the Districts for being posted in the rural areas for the Health care of the Rural people, especially below the poverty line (Yellow Card Holders). As and when the Contract doctors complete minimum three years of service as contract doctors, the Government contemplates their absorption in the Health and Family Welfare Service Department in the cadre of General Duty Medical Officers in the time scale of pay of Rs. 7400-13120. Such contract doctors working in remote places having no facilities at all. Hence, their cases deserved sympathetic consideration for award of service weightage co-terminus with their contractual appointment. The Government took a decision for award of service weightage to in-service candidate with a distinguishable factor to the effect that weightage of 5 marks for every completed one year of regular service and weightage of 4 marks for every completed one year of service for contract doctors followed by 5 marks for every completed one year of regular service subject to a ceiling of 60 marks. Accordingly, Government Order at Annexure-'B' has been passed. It is the policy of the State Government to award the rural weightage to the Doctors who have done the rural services during their contract service. Thus, the State has justified award of 4 marks for every completed one year of service as contract doctors. 5. I have heard Sri P.S. Rajagopal, Learned Counsel for the Petitioners, Sri B. Manohar, Learned Additional Government Advocate for respondent Nos. 1 and 3, Sri. N.K. Ramesh, Learned Counsel for Respondent No. 2 and Sri K. Subba Rao, Learned Senior Counsel along with Sri A. Narayana Bhat, Learned Counsel for the respondents Nos. 4 to 6. 6. Sri P.S. Rajagopal, Learned Counsel appearing for the Petitioners submits that the contract doctors cannot be treated as in-service candidates during their contractual period of service. Therefore, no weightage can be given for a period when the candidate could not be said to be 'in-service'. In order to become a member of the service he must satisfy two conditions namely, the appointment must be in a substantive capacity and the appointment has to the post has to be according to Rules. The appointment on contract basis is contrary to the statutory recruitment rules and it is not in substantive capacity. Therefore, the weightage given to the contract doctors for their contractual period of service is contrary to law. It is further argued that the Petitioners have appeared in the Entrance Test, without prejudice to their right to challenge the Government Order. Therefore, it cannot be held that they have accepted the conditions regarding grant of weightage of 4 marks to the contract doctors, for every completed one year of service. 7. On the other hand, Sri K. Subba Rao, Learned Senior Counsel appearing for the respondent Nos. 3 to 6 submits that the respondent Nos. 3 to 6 have been appointed for rural service on contract basis. The State Government is justified in granting four marks for every completed one year of service as contract doctors recognising their rural service. Further, the Petitioners having appeared in the PGET, they cannot be permitted to challenge Annexure-'B' at this stage. Learned Additional Government Advocate justifies the service weightage given to contract Doctors during their contractual period of service. 8. I have carefully considered the rivial contentions of the parties and perused the materials placed on record. 9. The Karnataka State Civil Services (Direct Recruitment by Selection) Rules, 1973 provides for the method of recruitment by the Selecting Authority to all cadres of post in the State Civil Services which are to be filled by the Direct Recruitment and for which no special or general rules have been issued prescribing the method of selection. 10. The State Government in exercise of the powers conferred by Section 14 of the Karnataka Educational Institutions (Prohibition of Capitation Fees) Act, 1984, has made Rules namely "The Karnataka Conduct of Entrance Test to Post Graduate Medical and Dental Degree and Diploma Courses Rules 2003" (for short 'Rules'). The Rules provide for selection of candidates for admission to the Post-Graduate Medical Degree and Diploma and Courses and Post Graduate Dental Degree Course in respect of the Seats in Government medical and dental colleges including the medical seats in autonomous colleges and for Government seats in private Medical and Dental Colleges in Karnataka The 'Rules' an statutory in nature. "2(g) "In-service candidate means, persons belonging to the Health and Family Welfare Services, the Karnataka Medical Education Services, Employees' State Insurance (Medical) Services, Mahanagara Palike Services, Boards and Corporations Services and autonomous Medical Institutions registered under the Karnataka Societies Registration Act, 1960 including the persons deputed from such services to any other foreign services". "In case of service rendered as contract doctors, the service weightage so admissible shall be 4 marks for every completed one year of service". 13. It is to be noted here with the aforesaid Government Order does not speak of grant of service weightage to the contract Doctors for their rural service. 14. It is clear that an 'in-service candidate' means persons belonging to the Health and Family Services, in addition to the other-services mentioned in the definition of the Rules. The question for consideration is 'whether the contract doctors are the persons belonging to the Health and Family Welfare Services'? If they are not 'in-service candidates', whether they are entitled to any service weightage for their service on contract basis? 15. In State of Madhya Pradesh v. Gopal D. Tirthani, AIR 2003 SC 2952 the Apex Court has held that the State Government is competent to set apart a definite percentage of educational seats at Post Graduate level consisting of Degree and Diploma Courses exclusively for 'in service candidates'. To the extent of the seats set apart, there is a separate and exclusive source of entry or channel of admission and it is not a reservation. In service candidates and candidates not in the service of the State Government are two classes based on an intelligible differentia. The Apex Court has further observed that there is a laudable purpose sought to be achieved. In service candidates on attaining higher academic achievements would be available to be posted in rural areas by the State Government. It is not that an in service candidate would leave the service merely on account of having secured a Post Graduate Degree or Diploma though secured by virtue of being in the service of the State Government. 16. On the basis of the aforesaid decision of the Apex Court, the State Government issued the Government Order at Annexure 'B' providing the Rules and Procedure and pattern in the conduct of PGET 2005 to Post Graduate Medical and Dental Degree and Diploma Courses for in service candidates. The definition of 'in service candidate' in the Rule is very clear. It means the persons belonging to Health and Family Welfare Services insofar as State Civil Service is concerned. The quota is meant for in-service candidates. Respondent Nos. 4 to 6 did not belong to the Health and Family Welfare Services during their service as contractual doctors. In order to become a member of service they must satisfy two conditions, namely, the appointment must be in substantive capacity and appointment has to be to the post in service according to Rules. The Petitioners do not dispute the award of service weightage after their regularisation of services. Even the Rules under which Regularisation was made as also the regularisation Notification clearly stipulates that the services rendered on contract basis will not mean for any purpose. 17. In Gopal D. Thirthani's case (supra) the Supreme Court was considering the Madhya Pradesh Medical and Dental Post-Graduate Admission (in-service) Rules, 2002. Selection criteria in the said rules did not apply to the candidates who are serving on contractual basis. Service weightage was made available to only in-service candidates who have served in rural area. 18. Now, let me consider the decisions relied on by Mr. P.S. Rajagopal. In B.N. Nagarajan v. State of Mysore, AIR 1966 SC 1942 it has been held that if there is a statutory rule, or an act on the matter, the executive must abide by that Act or Rule and it cannot in exercise of the executive power under Article 162 of the Constitution of India, ignore or act contrary to the Rules. "In this case, the length of the continuous officiation cannot be the basis for reckoning their seniority since they never became the members of Class-II service prior to their absorption "
20. IN Keshav Chandra Joshi and Ors. v. Union of India and Ors., AIR 1991 SC 284 the Supreme Court has held that employees appointed purely on ad-hoc or officiating basis due to administrative exigencies, even though continued for a long spell, do not become the members of the service unless the Governor appoints them in accordance with the rules and so they are not entitled to count the entire length of their continuous officiating or fortuitous service towards their seniority. Similar view is taken in State of West Bengal and Ors. v. Aghore Nath Dey and Ors., (1993) 3 SCC 371. In State of Karnataka and Ors. v. G. Hallappa and Ors., (2002) 4 SCC 662 it has been held that the appointments made on contract basis conies to an end either on the expiry of the term or on a regular candidate reporting to duty. 21. The Apex Court in A. Vmarani v. Registrar, Co-operative Societies and Ors., (2004) 7 SCC 112 And in Maruthi Udyog Limited v. Ramlal and Ors., (2005) 2 SCC 638 has held that when the appointments were made in contravention of Mandatory Provisions and the Statutory Rules framed thereunder and ignorance of essential qualifications, the same would be illegal and cannot be regularised by the State. The State cannot invoke the power under Article 162 of the Constitution of India to regularise such appointments. In State of Haryana v. Tilakraj and Ors., AIR 2003 SC 2658 and in Mahendra L. Jain and Ors. v. Indore Development Authority and Ors., 2005 SCC (L& S) 154 it has been held that the person appointed as daily wager holds no post. 22. Sri Subba Rao relying on the decision of the Supreme Court in Gujarath Agricultural University v. Rathod Labhu Bechar and Ors., AIR 2001 SC 706 submits that experience is a valid criteria for higher studies and it may some time substitute minimum qualification as well. In this case the appellant-University had engaged daily rated labourers for various activities. They had completed 10 years of service with pay and all allowances along with other benefits of the permanent Class-IV employees. They raised an industrial dispute whereby the Industrial Tribunal directed the University to regularise their services. The matter taken upto the Apex Court wherein it was held that workers working in post for long number of years by itself is sufficient qualification. In the present case, admission to PG Courses is regulated by Rules. Therefore, this decision is not-applicable to the facts of the present case. 23. From the discussion made above, it is clear that in order to be eligible for admission to Post Graduate Degree or Diploma Courses in Medicine or Dentistry by an 'in-service candidate' he/she should be belonging to Health and Family Welfare Services and other services as defied in Rule 2(g) of the Rules. Clause (3) of the Government Order dated 18-1-2005 states that it prescribes the procedure in conduct of PGET 2005 for admission to PG Courses for 'in-service candidates'. In order to become a member of service, they must satisfy two conditions namely the appointment must be in substantive capacity and the appointment to the post has to be according to the Rules. Employees appointed on contract basis even though continued for along spell do not become the members of service unless they are appointed according to rules. In my view, the contract Doctors did not become members of service during their contractual period of service. The order appointing them as Contract Doctors makes it clear that the appointees will not have any claim for regularisation or regular appointment. The appointments were terminable at any time. The Rules under which they were regularised as also the regularisation notification clearly stipulated that the services rendered on contract basis will not count for any purpose. If that is so, it is un-understandable as to how they are entitled for service weightage for their service during their contractual period of service. The Government Order referred above does not speak of the grant of service weightage for rural service. It is well settled that if there is a statutory Rule, the executive cannot ignore or act contrary to the rule in exercise of the executive power under Article 162 of the Constitution of India. In my view, the Government Order dated 18-1-2005 granting service weightage to the Contract Doctors for their contractual period of service is contrary to the Rules because they were not members of service during the said period. i) Rajkumar and Ors. v. Shakthi Raj and Ors., AIR 1997 SC 2110.
ii) P.R . Deshpande v. Maruti Balaram Haibatti, AIR 1998 SC 2979. 25. Sri. Subba Rao, Learned Senior Counsel submits that the Petitioners are fence sitters and they are blowing hot and cold to suit their convenience. Having appeared in the PGET-2005, they cannot maintain the above writ petitions. He has relied on the decisions of the Apex Court in Madan Lal and Ors. v. State of Jammu and Kashmir, AIR 1995 SC 1088 and UNION of India v. N. Chandrashekaran and Ors., AIR 1998 SC 795 and the decision of this Court in R. Jagannatha and Ors. v. Hon'ble High COURT of Karnataka and Ors., 2005 AIR KANT. HCR 762. "Yet another circumstance is that the Government had not taken out the posts from the purview of the Board, but after the examinations were conducted under the 1955 Rules and after the results were announced, it exercised the power under the proviso to para 6 of 1970 notification and the posts were taken out from the purview thereof. Thereafter the Selection Committee was constituted for selection of the candidates. The entire procedure is also obviously illegal. It is true, as contended by Shri Madhava Reddy, that this Court in Madan Lal v. State of J and K. (1955) 3 SCC 486 : (1995 AIR SCW 1109) and other decisions referred therein had held that a candidate having taken a chance to appear in an interview and having remained unsuccessful, cannot turn round and challenge either the constitution of the Selection Board or the method of selection as being illegal; he is estopped to question the correctness of the selection. But in his case, the Government have committed glaring illegalities in the procedure to get the candidates for examination under 1955 Rules, so also in the method of selection and exercise of the power in taking out from the purview of the and also conduct of the selection in accordance with the Rules. Therefore, the principles of estoppel by conduct or acquiescence has no application to the facts in this case. Thus, we consider that the procedure offered under the 1955 Rules adopted by the Government or the Committee as well as the action taken by the Government are not correct in law". 27. In P.R Deshpande case (supra) it has been held that statutory remedy of appeal cannot be scuttled or foreclosed by an undertaking given by the tenant to the High Court that he would vacate the premises in question within specified days. 28. In Mohan Lal Agarwal's case (supra) an argument was advanced that the respondents' therein having participated in the selection process cannot turn round to challenge the same in the writ petition. The Supreme Court after considering several decisions on the point has held that when the condition of the policy is such that if the petitioners did not participate in the selection process, he forfeits his right to promotion permanently, there is hardly any choice for him except to participate in the selection process. It is further held that the time gap between the declaration of policy, the protest and the selection process being too short, there was hardly any time left to the petitioners to approach even the High Court. 29. In the present case, the State Government has committed glaring illegalities while providing service weightage to Contract Doctors for their contractual period of service. The petitioners have sent their protest letters and have appeared in the PGET without prejudice to their rights to challenge the Government Order. Time was too short between the Government Order (Annexure 'B') and the date of PGET. If they do not appear in PGET-2005, they will loose that opportunity for ever. There was hardly any other choice for them except to appear in the PGET-2005. In my view, the principles of estoppel by conduct or acquiescence has no application to the facts of this case. 30. No other contentions have been urged by the Learned Counsel for the parties at the time of hearing. 31. In the result, writ petitions succeed and they are accordingly allowed. It is declared that the service weightage of 4 marks for every completed one year of service on contract basis granted to the Contract Doctors during their contractual period of service by the Government Order bearing No. HFW 470 MPS 2004, dated 18-1-2005 (Annexure 'B' to the writ petition) is illegal and unenforceable. No costs. The first part of her dream has come true. Divya P. finally has a medical seat. On Monday, she finally received an allotment order admitting her for first-year MBBS course at Dharmapuri Medical College. Even as she packs her bags, she talks about how happy she is, though a trifle sad at leaving her family behind. The victory tastes sweeter because of the tough battle that preceded it. Divya has kyphoscoliosis, a deformity of the spine, which left her with one short leg. Her problems started when it was not considered a ‘disability' sufficient for her to be included under the disabled quota for medical admissions. She had the necessary marks, just not the ‘right kind' of disability for a medical seat. According to the Selection Committee, Directorate of Medical Education, she was denied admission under the special category on the ground that she did not suffer locomotor disability in her lower limbs. Aided by voluntary organisations that sought to help her and create precedence with the case, Divya found the Madras High Court coming to her rescue. Her lawyer R. Prabhakaran, who worked pro bono in the case, argued that under the Persons with Disabilities Act, 1995, locomotor disability includes not only lower limbs, but includes a disability in the spine. He prayed that the PWD Act be given a liberal construction. The judge ruled in her favour and the selection committee hurried to set right its perceived wrong, issuing her an allotment order within a week. With the aid of voluntary organisations again, she has managed to pay her fees of Rs.12,290 and is ready to go to college, though a bit belatedly. “Going a month after college has started is going to be a disadvantage, I know. I must have missed the practicals, especially in anatomy. However, with hard work, I'm hoping to catch up with the rest,” Divya says resolutely. “Divya is actually entitled to tuition and special fee waiver on grounds of disability and the fact that she would be the first graduate from her family,” says T.M.N. Deepak of the Tamil Nadu Handicapped Federation Charitable Trust. However, she had to pay up the amount initially, and has been promised a refund.